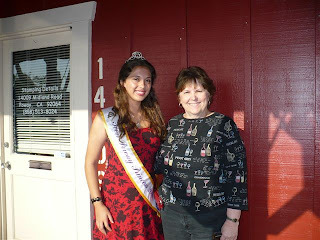 This week we were privileged to receive a visit from Leslie Altman's (one of our teachers) granddaughter to thank Stamping Details for supporting her in the "Miss Teen Poway" competition. Congratulations to Pilar Altman, "First Runner Up Miss Teen Poway"!! Our 1st Kyxy Promotion Winner!